There’s a handful franchises of Nintendo that I really enjoy. Mario is the prime one followed closely by Kirby. However since Yoshi’s Woolly World I have to add the Yoshi franchise to the list aswell. In light of this information it should come as no surprise that I picked up Yoshi’s Crafted World aswell when it came out this week. Unfortunately the Switch screenshots aren’t always that good so my apologies for the one heading this post, I just wanted to give an impression of how the game looked.Anyway I’ve played for a few hours now and wanted to give my first impressions of this game and the things I have discovered so far. I am giving a fair warning now, I am going into some detailed things that I’ve found over the first 2-3 hours of playtime so if you want to stay spoilerfree turn away now! The story like in the previous Yoshi entries is a simple one. The Yoshi’s live happily on their island with the Sundream Stone who makes all their dreams come true. Ofcourse Kamek and Baby Bowser caught wind of this and try to steal the sun stone, breaking it in the process and scattering all the Dreamstones across multiple worlds. You are tasked to find the stones and make the Sundream Stone whole again. Throughout the game you are being thwarted by Kamek and Baby Bowser but you also meet new friends and come across some familiar ones! All in all it’s a simple setup, nothing too fancy. It’s a very kid friendly story but that’s something I’ve come to expect from the Yoshi franchise thus far. The gameplay for this game is the standard Yoshi gameplay. You swallow enemies with B and create eggs with most of them which you can then aim and throw at almost anything in the world. Yoshi’s still flutter when you press A for jumping a bit longer and Yoshi has a ground pound. There’s nothing too fancy about the gameplay, I guess to keep it simple for the kids aswell. Right at the start of the game you are asked if you want to play the game on “Easy” or “Classic” mode. From what I’ve seen Easy mode doubles the amount of eggs you create when swallowing an enemy and it will let you know when a flower, one of the many collectibles in the game, is nearby. I’ve opted to play on Classic mode myself since the game is simple enough as is so I don’t need it to be even easier. 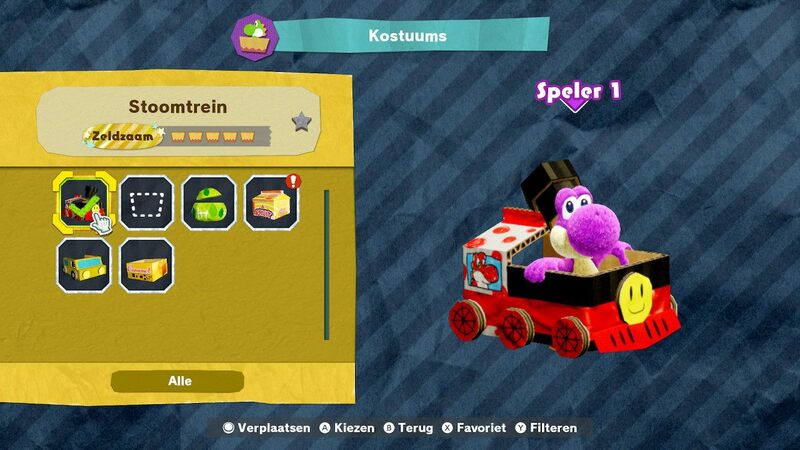 You are free to chose the colour of your Yoshi, there’s 8 total, and you can switch colour any time. As seen on the above screenshot I’m currently playing with the purple variant but I’m thinking about switching to Orange or Lightblue next time I start up the game. Collectability is a big thing in this game. The levels themselves aren’t hard and you can probably rush through them in two or three minutes but that’s not where this game shines. 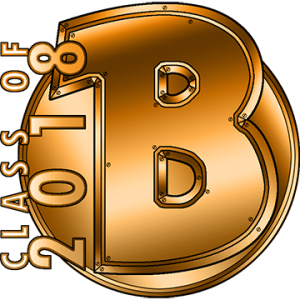 It shines in the collectibles and replayability of the levels themselves. Flowers. Flowers are hidden throughout all the levels and it’s up to you to find them and obtain them. Some levels only contain five flowers but I’ve already had a level with ten aswell. Flowers are also the main currency needed to open up new sub zones within worlds, so if you lack them you need to go back to your previous levels and collect more of them if possible. Hearts. Yoshi starts off with about half a heart bar. If you play the level right you end up with a full hearts bar which in turn awards you with a flower. Red coins. Red coins, like flowers, are hidden throughout the level. There’s 20 to obtain each level and some of them can be really well hidden. If you obtain all 20 in a level it awards you with a flower. Gold coins. Gold coins are scattered throughout the level and easy to obtain. When you meet a certain amount required per level you will be awarded with a flower. Next to collecting them for flowers Gold coins are the currency needed to obtain costumes. So far the collectibles have been quite standard. They’re all known from previous Yoshi franchises and shouldn’t surprise you in any way. 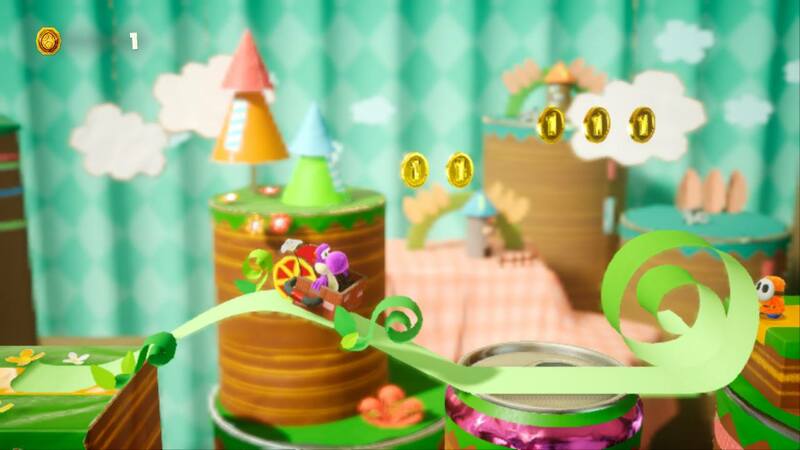 However in Yoshi’s Crafted World there are myriads of ways to obtain collectibles and they’ve added a few more things to collect outside of the items I’ve already mentioned. Costumes. Costumes are essentially “armour” that Yoshi can wear as you play through the levels with him. There’s three tiers of costumes, with the golden type being the most rare and awarding the most extra armour. Costumes are obtained from a gumball type machine at the end of each world that you need to feed Gold coins. It’s 100 Gold coins per costume and there’s ten costumes to get per sub zone. Luckily for us you’re not dependant on RNG, you can only get each costume once. You can switch between costumes freely and they are registered in your Scrapbook tab in the menu. Crafts. Crafts are another collectible you can find in the levels, once you have initially played through them. You get assignments to find certain crafts within the levels and if you find (all of) them you get a flower for each turn in. They also register in your Scrapbook. Poochy Pups/Flipside. Once you get a few levels into the game you run into an old friend. With this help an extra layer is added onto the levels: the Flipside. Basically it’s playing the original level in reverse. In the Flipside you are tasked to find Poochy pups and if you do that within a certain time limit you get extra rewards. Again the rewards here are flowers. Once you open up the Flipside of the levels you also get more tasks to find Crafts. The normal levels are then called “Front side”. As sidenote, it’s not possible to collect coins or flowers in the flipside of a level, only Poochy pups and Crafts. Taking all of the above into consideration it makes the replayability of the levels high. Essentially you are sent back to a level multiple times to gather all the collectibles there are to gather. It’s not necessarily needed to complete the game but it adds an extra layer to the simplistic gameplay that is the Yoshi franchise. It also has you actually look at the levels in more detail than you normally would. Lots of things are hidden in the back (or fore) ground and especially Crafts are sometimes hard to spot. It helps you appreciate the amount of detail the developers have put into the game and it also “trains” your brain in a way because you are constantly looking for things. As I mentioned before the screenshots don’t really do it justice but the game is gorgeous and top notch as we’ve gotten used to from Nintendo. The colours are vibrant, the structures are pronounced. I can see how the Yoshi’s, who are made of felt, are in stark contrast to the cardboard world. There’s a lot of detail that has gone into each level so it’s a joy to watch and discover everything as you play through. Even the use of focus/blurring is done very well and makes for a natural flow as you move from the front to the back of a level and vice versa. The music is cheery and simple like in most games. I like playing with the sounds and music on, it doesn’t grate on the ears so far. I’ve only played through four levels though so the music variety hasn’t been super big but so far I’m enjoying it. The sound effects do add this extra touch to the game that I think would be very bland otherwise. Hitting cardboard structures makes cardboard sounds, Yoshi itself sounds very cute and so far the enemy sounds have made sense aswell. It so far has not made me want to turn my sound off so that’s a big win. So far I’m quite happy with my purchase. Although the game is on the easy side there’s enough challenge in it to make the purchase worth while as fan of the franchise. The game is beautiful and vibrant and lifts your spirits as you play through it. The replayability of the levels is high due to the massive amount of collectibles that are present in the game. It’s the perfect game to relax to for an hour or two after work ór when you’re feeling a bit glum and need cheering up. Is it innovative? Yes in some ways and no in others. Did Nintendo lift the franchise to a new level? Maybe, I think it’s on the same level as Yoshi’s Woolly World when it comes to visuals and gameplay even though they’ve put in some interesting gimmicks in this one and added even more reasons to replay levels. Would I recommend this game? If you want a relaxing experience and if you think hunting for collectibles is more fun than challenging levels this is the game for you. I fear however that the game is “too easy” for the more veteran gamers who will be done with most of it in a very small timeframe. This is a game you don’t want to rush but that you want to enjoy and take your time on. For a Yoshi game it’s an excellent entry in the franchise and a day one/week one pick up for fans. If you’re on the fence about this game however I’d advise you to wait untill it eventually will be discounted and pick it up then. I can’t believe January is over already. Time seems to fly by these days, even if I’m spending significantly less time in games and more time watching Netflix and relaxing. Not playing as much games has also caused me to bit a bit more relaxed in my head and has gotten me going to bed earlier and fall asleep faster. The past week I’ve only played for an hour or so each night and it’s been great. I’m sure that at some point I’ll get back to gaming a bit more again but for now the game time is low and other activities time is high. I’ll see where it heads since I am going to formulate a few goals for this month. But first lets look back at January. So I’ve accomplished two of the goals on my list being the FFXIV related ones. I’ve actually spent a lot of time in January to getting these goals done and it’s taken up most of my gaming time. It’s also caused a bit of a gaming burnout to the point that I’ve not touched Spyro 2 at all and I’ve put in the bare minimum in Pokémon LetsGO. I did manage to get the 6th badge but I stalled out afterwards, which I’m actually quite disappointed about. I’m not sure what causes me to put down games and just not return to them but it’s a thing I want to stop doing. So I finished up the book really early in the month and it has been a nice read. I watched the first season of Luther in full and am now halfway through season two. I have been watching other shows on Netflix however and finished “Tidying up with Marie Kondo” and “Consumed” in full so I got a bit more worth out of my Netflix for the month. I even managed to jam in “Carmen Sandiego” which I thoroughly enjoyed aswell. All in all I’m quite happy here even though I didn’t get to finish the show I wanted to. So now that we have January out of the way let’s look forward to February! Playstation GotM: Kingdom Hearts 3. Get all my crafters to 30 in FFXIV and complete all job quests upto and including level 30. So ofcourse the game of the month for Playstation is going to be Kingdom Hearts 3. I’m about 5 hours in and I want to play through this game so much. I love the worlds, I love the fighting, I love the story. I’m itching to explore more of it and to get it completely played through by the end of the month. I’m lifting Pokémon LetsGO over to February so I can work on completing that aswell. Again I made it to the 6th gym and I really just want to get to the Elite Four atleast. In MMO land I want to keep my goals light. 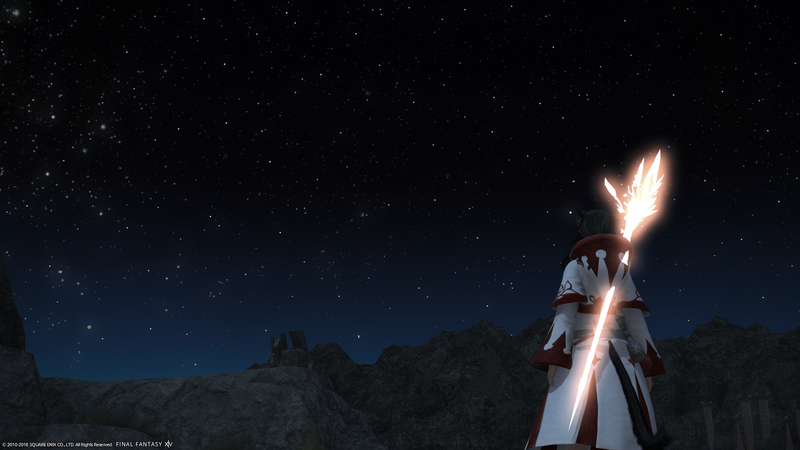 The only thing I really “want” to achieve in FFXIV is to get all my crafting classes to level 30 and have all the job quests up untill that point completed aswell. I’m currently sitting on level 27 Blacksmith, level 24 Leatherworker and Level 21 Alchemist so that’s the three jobs that need to go up. I go up about two levels when doing all the Ixali dailies that I can and to complete those I only need an hour or so… So it should be a very doable goal. As far as the leveling in WoW goes. I just really want atleast one Allied Race to max level. My Nightborne Mage is sitting at level 78 now and I’m not really setting a goal for myself level wise but I would like to be over 78 at the end of the month. Maybe I’ll get all the way to 120, maybe I’ll only make it to 85, I don’t know. I just want to spend a bit of time leveling and enjoying some of my favourite older zones again. I’m starting a new book and a new trilogy all in one go. It’s the second trilogy I’m going to read that’s written by Robin Hobb and it takes place in the same world as the first one only with different characters. I’m really curious how these books are compared to the ones I’ve read so I’ll report back as soon as possible when I’ve finished the book. On the shows front I want to finish watching Luther and then start watching Designated Survivor again. I started that show at some point but kind of trailed off after ten episodes or so. I like the show and I want to watch more of it so that’s the plan. All in all I’m mostly going to focus on the big game of the month which is Kingdom Hearts. Since I’m in a minimal gaming jam right now I’m trying to keep my goals light and attainable and will probably focus on doing other stuff instead. I guess I’ll see how far I’ve come at the end of the month! After my big yearly look forward post here comes the smaller monthly one. I’ll keep it short and sweet. I want to finish off the big level race I started somewhere in October. I only have Dark Knight (lvl 55) and Samurai (lvl 50) left and I’m positive I can level up both jobs before the end of January. Blue Mage will get introduced into the game aswell and if I finish up leveling these last two jobs I will probably have a jab at that. I still have my leveling buddy for most evenings so chatting away while we do roulettes should, in theory, make time fly by. 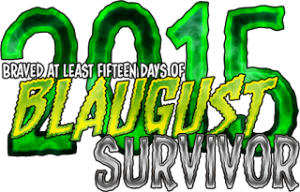 As far as the Nintendo and Playstation games of the month go I gave myself some slack to get started on this. I’m well over halfway in the Pokémon game and Spyro shouldn’t take me more than 10-15 hours to complete just like the first game. I’ve started reading Roger Daltrey’s autobiography and I want to finish it this month. My dad is an avid Who fan and has ingraineed this into me growing up. The book is actually a quite fun read and I am zooming through it with relative ease. I highly recommend people to read it if you have any affiliation with the Who as band. A show that has been on my radar for a while now is Luther. I’ve never actively followed it when it was being broadcast over the past few years but now it’s on Netflix I may aswell watch what they have to offer. I am planning to watch all seasons this month simply because they don’t have that many episodes so this should be a walk in the park. I could end up doing more than is on my goals list since I’m giving myself a lot of slack this month but who knows. Maybe this month will be busier for me than I think in advance. After cleaning out over 300 spam messages I finally found some time to sit down and write again. 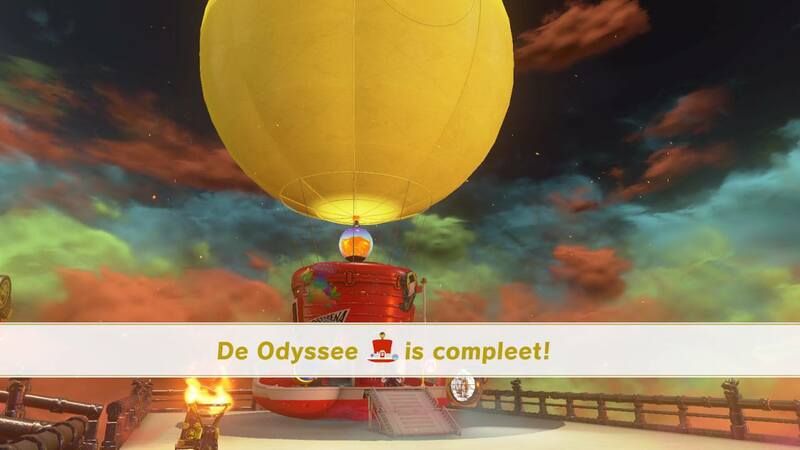 I know I’ve not been active but I feel like I have to write about the game that has taken over my life for the past week: Super Mario Odyssey. It’s funny how a game that I wasn’t even that hyped about has become the most fun game I’ve played in the entire year. From the moment I picked up the game on October 27th untill the moment I had beat Bowser I had a hard time putting it down. Nintendo did such an amazing job with this game and I’m so happy that I was able to pick it up and play it straight away. 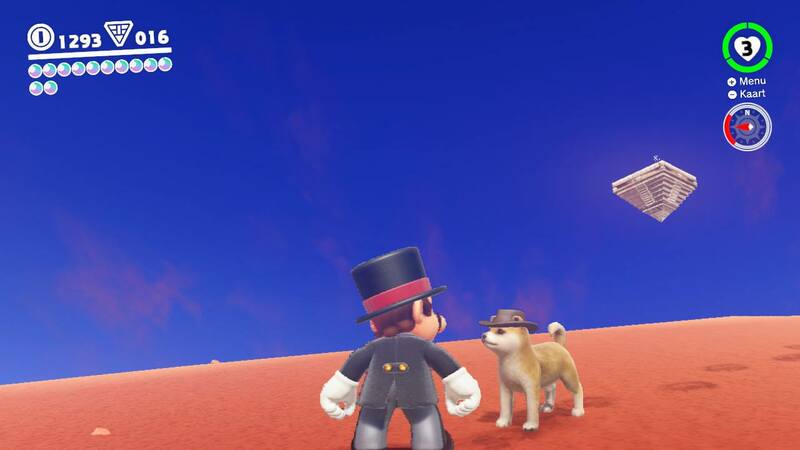 I don’t intend this post to be a review of sorts, I intend it to be a story about my journey through Super Mario Odyssey with a few screenshots added in here and there. So where to start. I picked up the game on Friday last week and immediatly started playing it. The story for this game is obviously the classic Mario story, Peach has been kidnapped by Bowser and it’s up to you to save her. Only in this game you get a bit of help from Cappy, whose sister Tiara is also kidnapped to serve as headdress for Peach. You see, Bowser kidnapped Peach this time with the intent to marry her. What follows is a crazy chase by Mario and Cappy through 13 kingdoms to save Peach from Bowser. Each kingdom is meaningful in it’s own way and contributes to the final wedding theme. What makes this game “unique” is mostly the Cappy capture mechanic. You can take over creatures in the world by throwing Cappy on top of them, which often leads to hilarious results. I’ve done obstacle courses as bullet Bill. I’ve built Goomba towers. I’ve taken over frogs, birds, hammer guys and in the end (SPOILER!!!!) even Bowser himself. This mechanic is important because you need it to cross levels, defeat bosses and get to moons and other collectibles in every level. Moons are the replacement of the usual Stars/Star coins and you need a minimum amount to be able to finish the game. All of this sounds simple enough but Nintendo really overdid themselves with the level design for this game. All of the levels are 3D (with hidden 2D parts! ), crazy big and open to exploration. You’re completely free to go almost anywhere and explore everything. Nintendo put in so many secrets and fun crazy little things that you won’t be done with this game for a long time if you decide to chase everything there is to get. You can collect outfits and give Mario different looks. You can collect stickers to put on your ship “the Odyssey”. You can collect interior decorations. All of this with regular coins and special currency tied to each level. And then there is the Moon chase game. 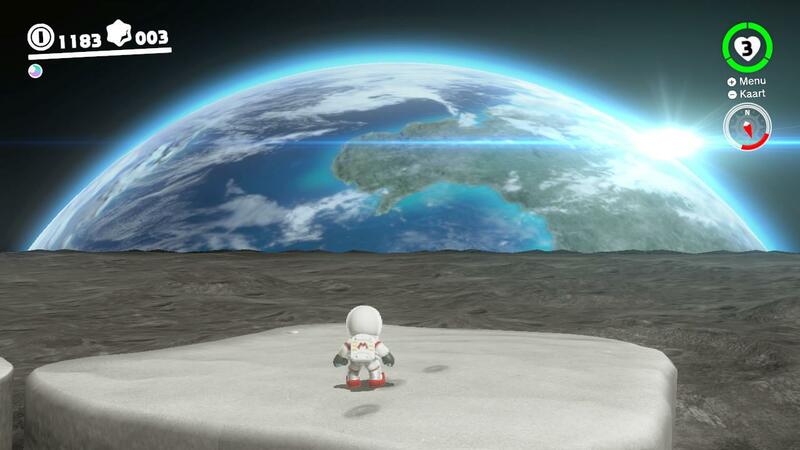 There are a total of 800+ moons to collect in the world. Some will only open up post-game and there are even some worlds that are only accessible post-game. I’ve spent hours and hours just wandering through different worlds trying to discover all the secrets they had and I’m not even close (I’m currently sitting on 300 moons). The worlds themselves are incredibly gorgeous. Obviously it’s not as realistic as say the new Assassin’s Creed but Nintendo really did their best. There are so many details. The lighting, the structures, the shadows. The water physics are gorgeous and you can take some amazing screenshots along the way. The bossfights are innovative. I’ve had so many crazy mechanics thrown at me throughout the game and they all were a blast to play through and beat, even though I wanted to throw my Joycons through my room out of frustration sometimes. I really want to applaud the team that came up with these ridiculous fights because they ooze creativity and love for the game. It wouldn’t be a Mario game without them. I had a hard time deciding whether I wanted to finish the mainstory and do all my collecting post-game or if I wanted to collect as many things along the way on my first time through. It eventually became a mix. Some of the smaller realms I decided to just get as much as possible when I was there the first time. For the bigger realms I decided to go for all the obvious collectibles and get back to them later for the rest. I was afraid that if I would lose myself in the collection objective that I would never see the end of the game. So I made pushing through the story, and seeing the credits roll, my main priority. And I’m glad I did. I’ve seen all the beautiful levels, I’ve fought all the wacky bosses and I was rewarded with one of the best escape sequences I’ve seen in gaming history. I know that I’ve dumped some screenshots and some movies on my Twitter and I’m currently uploading everything to an album on Facebook aswell. I’ve taken a ton of screenshots. Shot some great movies but above all I had fun. The most fun I’ve had in a game for years. And all thanks to Nintendo and their amazing developers who made this journey a worthwhile one, and one that I won’t be done with for atleast the coming months. Because yes, I want to collect everything that’s out there in the game. I could go on and on about this game and how great it is and go into every single detail but I won’t. I just want to tell everyone who owns a Switch to go out and get this amazing game and write of dozens of hours of your life in it. Because it’s worth it. Especially when you meet the most adorable puppy postgame! And discover that he also can help you out in your quest towards more moons. I know I’m a bit late to the whole Switch hype, but I needed some time to get my thoughts in order and be able to really express what I feel about this new console, the games that Nintendo announced for it and whether or not I would want to buy it at launch. First up: What do I think of the Switch as a whole? So far it looks to be a good console. Nintendo needed innovation and something to compete with the PS4 and Xbox One and I think they may have hit the right angle with the Switch. Not because performance wise it’s better, but mostly because they are making console games mobile. They have tried this with the WiiU aswell, but unfortunately the concept kind of failed. 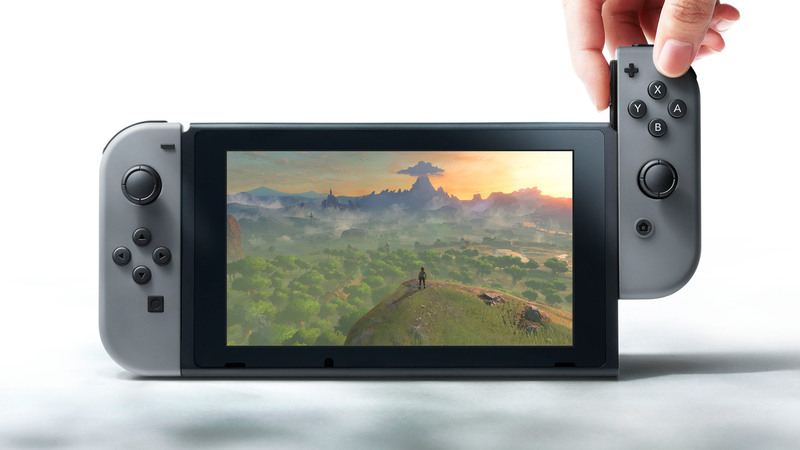 Now with the Switch there’s no more need to turn off a game because you have to travel somewhere… You just take the game with you! I loved this concept the moment Nintendo showed us at first and I’m still in love with the concept as of now. The only thing I really wonder about is if Nintendo will do away with the 3DS because of the Switch… But that is something they need to decide on their own. Personally I’m still in love with my 3DS and I hope they can let the two things co-exist for a while yet. Onto some other details. I think the price tag is too high to warrant buying a Switch at launch. It’s €309-329 here, and then you only get the console with no games. Obviously the same was the case for the PS4 and Xbox One launch. And if I didn’t already own a WiiU and a PS4 with an enormous backlog to work through I probably would have taken the bait and bought a Switch at launch (with the new Zelda game). Right now though I just can’t justify to myself to buy one so I’ll probably hold out untill the after the Summer or around the Holidays of 2017. Seeing as my plan is to make a big dent into my gaming backlog this year, I feel like I can’t invest into a new console when I barely touched it’s predecessor in the year that I’ve owned it. The amount of games at launch is also kind of disappointing. They really hope Zelda will carry the system long enough that people will invest in it. It’s a gamble, but I hope it pays off for Nintendo. I do realize that PS4 and X1 didn’t have many launch titles either so I can’t really say something about Nintendo not having that many titles at launch either. All in all I think this could be a succesfull console, provided Nintendo makes a steady stream of first party games for it. I could do with a new Donkey Kong, Kirby or even a cool Disney title to make this console interesting for me. As far as first party games go, I’m mostly excited for the new Zelda game, the Super Mario Odyssey and Splatoon 2. I’m doubting if I want Zelda on my WiiU or the Switch though. I really need to know the differences between the games before I decide. Super Mario Odyssey just looks cool. Mario sandbox games have been quite succesful so far so I hope Nintendo makes this one just as good as Galaxy was. I’ve never actually played Splatoon but maybe the Switch will draw me into the game. Now as far as third party games go. Hell yes Dragon Quest! I fell in love with the series after purchasing DQ7 for my 3DS and I will definately purchase DQ11 for the Switch. Next to that Square announced a new RPG especially for the Switch which is always something to be excited about. I also know Yooka-Laylee comes out for the Switch and the makers promised Nintendo players something extra over the other platforms so I’m actually brought to doubt whether I want that game on my PS4 or on the Switch. There are definately some things to look forward to on this console, but I’m unsure if I will buy games for the Switch when they also come out on the PS4 which, by all means, probably has better performance. I am kind of disappointed by the Mario Kart 8: Deluxe. It really is just a port of MK8 with some added tracks and characters and I’m not sure if I want to invest in that, owning the original one on the WiiU. So will I buy a Switch? Eventually, yes. I think I’ll hold off on buying a lunch model. I rather wait untill bundles appear or when it might lower in price a bit. If there’s anything I learned over the years the prices of consoles and games drop really fast so it’s probably better to wait a bit. I also want to see the library Nintendo builds around the Switch over 2017. I really hope they have more games planned than they initially let show, but I guess only time will tell. Next to that I already stated that I have a huge backlog to work through, so I can’t justify to myself to buy a new console anyway. Not when I have so many unfinished games lying around. But maybe around the Holidays… maybe I will get a Switch. It’s been unbearably hot where I live for the past 3-4 days. I’m happy my company has a really big airconditioned office, since that is mostly keeping me sane. However at home I’ve not been so lucky with the temperature in my room rocketing up to 30 degrees Celsius during the day. I’ve not really made use of my PC or my PS4 because of this. It’s way too warm for these machines to be on, plus they help push up the temperature even more. So it’s really not for me. However during this time I’ve rekindled my love for my 3DS a lot. So much that I want to write an entire post dedicated to just Nintendo, in the form of a letter. Thank you for being the amazing publisher that you are. Over the years your handhelds have given me a lot of joy, from the Gameboy Pocket to the New Nintendo 3DS XL, I grew up with your consoles, games and amazing community. I was sceptical when you announced your latest handheld, one with built in 3D. So I held off and held off untill I had to buy one to experience the new Pokémon game. I’ll be honest. The first generation 3DS didn’t really capture me. The 3D was decent but wonky and it would sometimes give me headaches. I didn’t buy too many games and didn’t use it too much, to my shame. Some time went by and then you annoucned your New 3DS. It had super stable 3D, a new colour scheme and was an upgrade over the old one. I doubted, I twisted, I turned. Eventually you gave me the Animal Crossing: Happy Home Designer bundle to pick up. Being a big Animal Crossing fan (New Leaf actually had me entertained for a very long time) I decided to bite the bullet and buy the New 3DS XL. I haven’t looked back since. The screens are amazing. The buttons are good. The content is even better. I can pick my console up and take it with me wherever I go. When it’s warm I can still game. When I’m travelling I can still game. It’s past, present and future all mixed into one. I don’t know what you plan with your NX. 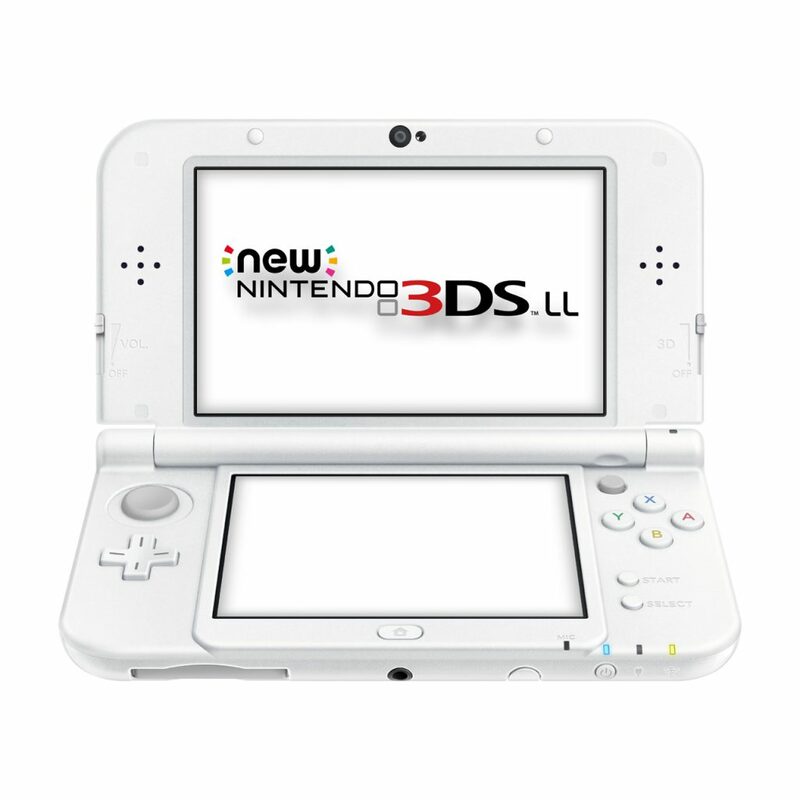 I don’t know if you plan to replace the 3DS altogether or if you will still support it for a while to come. You still have me excited about all the games I can look forward to and all the games I can still finish. You gave me Kirby: Planet Robobot. You gave me Fire Emblem. You gave me Pokémon X and Alpha Sapphire and you will continue to give me many more amazing titles to come. Even though I know I’m miles away from obtaining all the amazing games you’ve released I know I’ll be buying more in the months and years to come. There’s so much still to discover and so much to revisit. Your 3DS has been my stalwart buddy for the last year. It travelled with me to Portugal. I take it with me to work. I’m addicted and I don’t care. You caught me in your net and I’m not planning to struggle to get out anytime soon. You satisfy my inner child. You cater to the gamer that is me. I love my 3DS till death do us part. Which I hope will never be. Please don’t change your ways. Be your amazing self and give a new generation the chance to explore the amazing worlds you have created. You may not be the console king but in handheld territory you’re still number one. Keep improving what you do. Stay the best and cater to your fans (and maybe polish up the My Nintendo program a bit, please?). Sony and Microsoft may have taken the crown in sales. But you are still the king of many gamers’ hearts. Me and my 3DS will be around supporting you for a long while yet. So shine bright like the diamond you are and create an amazing future for many years to come. These past two weeks have been magical. Truely and wonderfully magical. Do you want to know why? I think my inner child cried of joy after some awesome announcements that have popped up in the big bad world of gaming. Let’s start with the most important one…. The Nintendo Classic Mini NES. The moment I heard this console was coming out I nearly peed myself with excitement. I’ve never had a NES growing up, I was in the Sega Mega Drive (or Genesis) camp. My uncle did have an old NES but we went there only one or two times a year and I had to share the thing with atleast 5 cousins so actually playing never really happened. 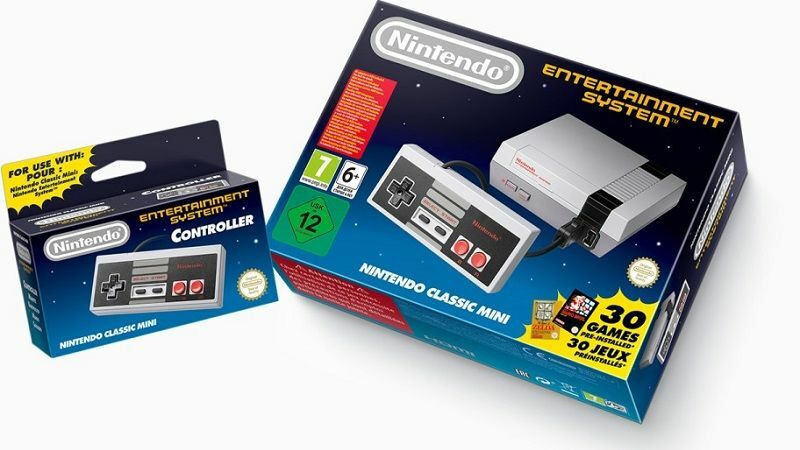 Imagine my surprise and excitement that Nintendo announced a special Mini NES containing 30 games out of the blue. Ofcourse I immediatly needed to have this and as we speak it’s on pre-order at my favourite gaming store. For €60 only this little console is very very cheap. Due to it also being tiny I can imagine myself dragging it along to friends to play with. I just need to get my hands on that separate second controller, which for some reason wasn’t in the system yet. I am super happy that I’ll get to experience a lot of games that I’ve only seen glimpses of and finally will be able to mesh with the “oldschool” Nintendo gaming crowd. It’s also nice to see how games have evolved from the NES to the SNES since I’ve been buying some of those on my 3DS on release (DKC 3, Megaman 7/X). Don’t even get me started on the fact that I seriously love small, simple controllers and that I will be able to use this new NES controller with my WiiU aswell. If only I would’ve known earlier, I wouldn’t have bought my WiiU Pro controller. But alas. Speaking of SEGA. They have made a few announcements of their own! Seeing as it’s Sonic’s 25th anniversary they have been working hard on some new releases in the franchise which includes a trip back to the famous 2D platformer where it all started. Sonic Mania! Just from seeing the trailer I feel like I’m 6 years old again and starting up my Mega Drive for the first time. My mum and dad had a go at playing themselves aswell and we all thought the system was amazing and gorgeous for it’s time. For SEGA to release a major throwback like this just warms my heart and I can’t wait to get the game on either my PC or PS4. Even when rewatching the Youtube announcement while writing this post the trailer gives me a real dose of nostalgia and memories of good times. Hello Project Sonic 2017. Although the trailer doesn’t give away much it does hint to being able to play with other people. I don’t know if this is online or not or if this some kind of MMO or not but man… Doesn’t this look awesome? Also mark the fact that at the end of the trailer it says it will be released on the Nintendo NX aswell. Which means this is the second big gaming franchise, after the Legend of Zelda, who has a game confirmed for the NX. I know the game won’t come out untill Christmas next year but atleast I will have something to majorly look forward to. Sonic for me is just flashbacks to my childhood when it was very popular on TV, next to being an immense hit as a game and basically the answer to Super Mario at the time. Although SEGA may have left the competition when it comes to consoles, they have one of the best franchises to their name. And although not all Sonic games have been amazing it’s nice to see them still doing so well after all these years. All in all an amazing time to be a gamer. The only thing that could top this is Naughty Dog announcing they’re doing a new Crash Bandicoot game for the PS4. If or when that happens I think I’ll be one of the happiest gamers on the planet. 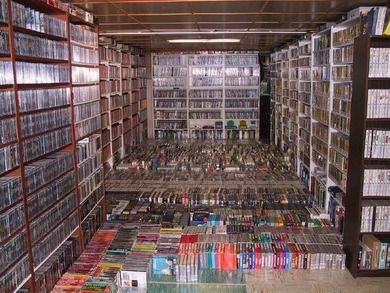 Although I can’t really boast the size of the massive game collection shown in this picture, I have quite an impressive backlog of games of my own. Owning two consoles, a PC and a handheld I have accrued quite some games over the past years and I haven’t played much if at all of any of them. I mentioned it in my previous post that I’m notoriously bad with playing through my games, and I’m really not joking. I’ve actually gotten to the point that I’m now forbidding myself to buy any new game (unless I already have it in pre-order) untill I have finished atleast some others that I have decorating my shelves or my harddisk. I’m really embarrassed by the awesome game collection I do own and that I can’t really tell anything about most games because I simply haven’t played through them at all. Ofcourse I also own some games that you never really “finish”, mostly being MOBA’s, MMO’S and TGC’s but you can boast about atleast achieving some stuff there by defeating X boss, attaining X rank or even levelling to max level. Especially in MMO’s I see max level as the real big achievement, seeing as I’ve started so many chars in so many different MMO’s and never leveled them past the level 20 or 30 point. This year I made a gaming goal list, which mostly consists of goals for FFXIV, my main MMO. However I really want to start working through the catalog of games I have lying around, and just so you guys get a glimpse of what this means, I made a list of stuff that I own. Because this post would become a monster if I would list everything in one go, I’m keeping this first post to console and handheld stuff. Part two will be about PC games, MMO’s and other “neverending” games. I also want to take a look back at my older game collection and share with you games that I have owned since my childhood, many of which I have actually finished but keep around for nostalgia sake, so that will be part three. My first “next gen” console, decorating my room since 2014. I have about 15 games on that, not really counting the free PS plus indie ones since most of them are garbage that I never download anyway. So let’s take a look shall we? Knack. Actually finished this one (as in defeated the last boss) so not really counting that. I stilll have a ton of trophies to unlock though, hence it’s on the list. Disney Infinity + All Star Wars playsets + Inside Out playset. I consider the playsets the things to finish really so technically these all count as separate games. The Division. Again I feel like I technically finished this. Reached max level, grinded out good gear. Just not much to do in the game right now. I’m only 4 or 5 trophies short of getting my first platinum. Something I do really want though. Destiny. I have one max level character there (my Warlock) and I have actually played a lot of endgame, so technically “finished”. All in all my Playstation catalog isn’t that horrible. I do consider some games “fiinished” but monsters like the Final Fantasy and Tales games I haven’t really set foot in much. I am slowly working my way through Ratchet and Clank though so that’s a thing. The only game I really regret buying on this list is FIFA 16 since I haven’t even played 10 minutes of it..
Next up: Nintendo! I own both a 3DS and a WiiU now, with the WiiU being very very new. Even so I acquired a lot of games. Splitting them up for the list! Of the above mentioned games I really only played a bit of Yoshi and Windwaker. As said, the console is brand new so not having played much isn’t that horrible… Right? Animal Crossing: New Leaf. I did play some, but never really got into the game. One of those games you don’t really finish either. Big Hero 6: Battle of the Bay. Only just got this one on a discount. Haven’t played it. Donkey Kong Country Returns 3D. First World played through. New Super Mario Bros. 2. First World played through. Pokemon Alpha Sapphire. Played for about 12 hours I’m past the 6th gym and recently picked it up again. The Legend of Zelda: Majora’s Mask. Completed the first 3 day challenge, almost done with the second. Pokémon Blue. Technically finished this when I was 10? I had 148 Pokémon and had beaten the elite four like… a lot. The Legend of Zelda: A Link to the Past. See Big Hero 6. 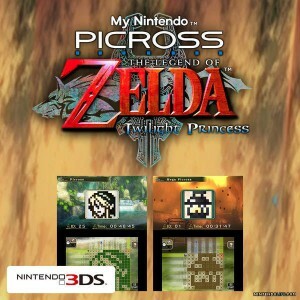 The Legend of Zelda: Picross. This one is 100% finished! Animal Crossing: Happy Home Designer. This came with my new 3DS and I did actually play it a lot. Epic Mickey: The Power of Illusion. First World and Second World played through. So yeah. I have a decent Nintendo backlog, but a lot of these games I have actually played more than I thought. I sunk quite some hours into Pokémon. Pokémon X I have restarted a few times, but with gaining a lot of legendary Pokémon I’m determined to see it through. For the rest I have made decent starts in both Donkey Kong and Super Mario Bros. In both games I have atleast beaten the boss of the first world and in Donkey Kong I’m halfway through the Second World. Off all the games in my backlog I have been actively playing my handheld ones the most, thus the most progress in them. All in all this part of the list alone contains 38 games, most of which I have barely touched. I really do want to start going through this huge backlog though. It’s so much money invested and so little time gotten out of it. The easiest ones for me will probably the 3DS games since I actually play them a lot on the train. For a game like Mario I manage to do 1-2 levels every train journey, so that’s 2-4 levels per workday. As far as the RPG games go, I defeat a bunch of trainers in Pokémon and make small steps towards my end goal. These bite sized chunks are really nice for me and it also helps with finishing games. I also feel like it’s easier for me to pick up my handheld and just lie down on bed and game a little. I often don’t feel like starting up my consoles or PC to play anything, especially when I’m tired. So yeah. This was the first of a three part post about my “big” game collection. It’s nice to see it all listed, gives me a nice overview but also shows that I have quite the spending habit. I really wish I could say that I have played through a lot of these games, but the reality is I just really haven’t. And that’s such a shame. I do hope that I can clear out this backlog a bit throughout 2016. If I plan my gametime right, I should be able to do it. Stay tuned for part two: PC (Steam) Games and MMO’s coming later this week! About two or three weeks ago Nintendo launched their long awaited new rewards program: My Nintendo. Meant to replace Club Nintendo, they did a complete overhaul. Where in Club Nintendo you would get codes with purchases of games and consoles, that you could turn in for points and ultimately goodies the brain behind Nintendo decided to go a new route for their rewards program, calling it “My Nintendo”. Going about it a little differently now Nintendo has installed two seperate currencies for their rewards program: Platinum and Gold coins. Platinum coins are mostly earned with attaching your social media accounts to My Nintendo, logging in the Nintendo E-shop and Miiverse every week and using the newly released Miitomo app (more on that one later). Gold coins are earned when buying games in the Nintendo E-shop. I don’t think you can get gold coins when buying physical copies of their games, which is kind of a shame. I guess this is Nintendo’s way of pushing people to buy their stuff digitally. Now what do those coins actually buy? Platinum and gold coins can be exchanged for various things. For the gold coins it’s mostly discounts on games on the Nintendo E-shop for the WiiU and the 3DS. Platinum coins are a little bit more diverse. So far you can get discounts on games, just like with the golden coins, but you can also get 3DS themes, ingame stuff for Miitomo and an entire free game: The Legend of Zelda Twilight Princess: Picross. This game is exclusive to My Nintendo and costs 1000 platinum points, which you should be able to get in about a day. I opted to buy the game, and one of the 3DS themes, and it cost me 1200 platinum coins in total. I’m more or less totally addicted to this picross game and am well on my way to finishing it completely. But for the 1000 points I decided to spend on the game I could have gotten Mario Kart 7 and ToL: A Link to the Past with 20% discount on the Nintendo E-shop, lowering the prices of those games to respectively €36 and €16. Not a bad deal at all and something I am saving up for right now. Plus if I buy those games I will get gold coins… Which will give me discount on other games again. It’s a nice little circle that Nintendo has created and a better rewards program for someone who likes games rather than silly accessories (feel free to disagree with me). The only thing I dislike is that there is no rewards for buying physical games, and I personally rather have a physical copy than a digital copy so that’s kind of sucky. 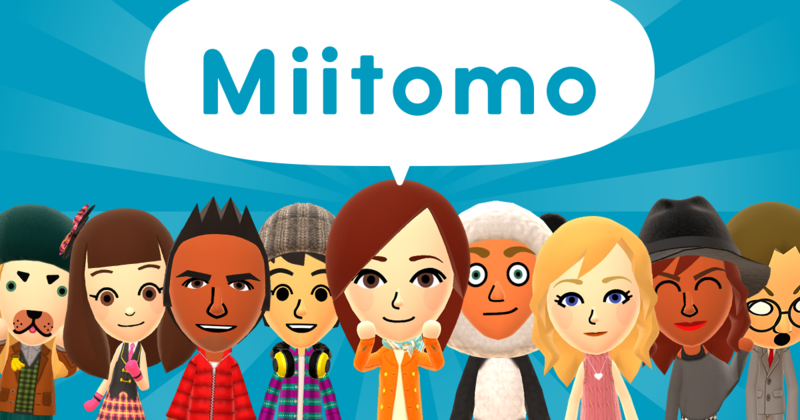 Right after My Nintendo launched Nintendo’s first app ever launched aswell: Miitomo. It’s an interesting app and best described as Nintendo’s take on social media. It boils down to creating a Mii to resemble you, adding friends and then getting to know eachother better by answering questions and reading other people’s answers. Together with a secondary game of being able to put your Mii in the most interesting outfits, and being rewarded for changing clothes constantly, it’s an app to keep you quite busy. For me it’s been very nice to get to know my Twitter friends better and I have tried to get some of my IRL friends to use the app aswell, just for the entertainment value. Add up that you can earn atleast 15 platinum coins per day by just using Miitomo right it’s also making me use the app a lot so I can earn rewards for my gaming systems. A very smart marketing move by Nintendo and a very addicting app for people with a lot of friends I’m really happy to see them making progress and branching out with their company. Now if you’ll excuse me, I have a Picross game to finish.